I always forget about the television during summer, so the start of fall programming usually catches me by surprise. Luckily, I got notification about one show I don’t want to miss: the second season of Top Chef Just Desserts is premiering this Wednesday, August 24, on Bravo. The first season was…exciting, to say the least. The drama got a little over the top, but I was impressed by some of the desserts that some contestants were able to put together under some pretty trying circumstances. I’m looking forward to seeing what refinements the second season will bring, as well as seeing Chefs Johnny Iuzzini and Hubert Keller (le sigh) again. These prizes were generously donated by Bravo and I’m happy to pass them on to one lucky reader! This contest will run through Thursday, August 25, and I’ll announce the winner on Friday, August 26. Good luck – and don’t forget Top Chef Just Desserts on Wednesday, August 24! This prize was provided by the BRAVO Network but BRAVO is not a sponsor, administrator, or involved in any other way with this giveaway. All opinions expressed in the post are my own and not those of BRAVO. Although my fave season was also Season 6, my favorite chef is still Hung from Season 3. His, erm, unique personality and of course amazing talent made the show incredibly entertaining! I love the Voltaggio brothers, too! Thanks for this wonderful giveaway. 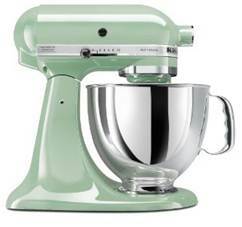 I want to win this gorgeous stand mixer so much, for my Mom. She loves to bake and currently using a very old hand held mixer. I think she really deserves a lovely stand mixer like this one. 🙂 Thanks for a chance to win. Yigit Pura is my favorite. Gotta love those gorgeous desserts. I truly look forward to watching season 2 this Wednesday. Did you see Rebecca Masson has a cast on her arm?! I can’t imagine baking with that thing constricting my wrist! I am rooting for her! (That could change after Wednesday!!) Can’t wait! I watched the Top Chef Just Desserts season 1 and from the start I supported the chef who came out on top- Yigit Pura. I guess I really enjoyed his style of cooking and the fact that he was a super clean pastry chef! While I am classically trained, I believe Yigit was trained in the kitchen all his life with no classic in-school training. And yes, those Voltaggio brothers from Top Chef were fun to watch also!! Thanks for the info about their upcoming book. I hadn’t heard about it…! I am definitely rooting for Vanarian Kuch. I like what he said as his on hand ingredients – gotta love smoked salts and seasonal fruits! I am all about that kind of simplicity. Carla Hall , she makes a beautiful apple pie! Jen caroll! I loved that she could keep up with those volatagio brothers. I wanted to see so much more of her in all stars!!! Hello there! I’ve had a subscription to your blog for awhile! From season 1 of top chef, just desserts I would say my favorites (not food, personality and vibe) were: Zac & Yigit. From the first season of Just Desserts, my favorite was Amanda Rockman! I too love the Votaggio Brothers even though they were not Just Desserts, they were great! Loved Kevin Gillespie!! Awesome cooking skills. Hope to go to Atlanta one day to try out his food!! Hung Huynh! He made me crazy, but my husband and I loved laughing when he messed up. So arrogant! My favorite is Richard Blaise. I’m from Atlanta, so I was rooting for him. I hope I win – I love to bake. I’m with you on this one – Voltaggio brothers all the way! I totally agree, Season 6 was definitely the best Top Chef to date. My favorite would have to be Kevin Gillespie from that same season. Everything he made just looked so delicious even it was something I’d never heard of. Very talented! Is this open to non US residents ? I agree, the Voltaggio brothers were great, the best, but I really liked watching Angelo Sosa work. I had a hard time liking him at first, but the more I watched, the more he grew on me. And his skill and the food he turned out each week was impressive. My favorite contestant for this season (I guess my pick to win then based on bios and tasting alone ::) would be Amanda Rockman. She is a Texan like me and works in my favorite city! My favorite from Top Chef was Sam. I love Jennifer Zavala from Season 6. She inspires me. My favorite is Yigit Pura. I can never remember any of their names (forgetful, I guess!) But I enjoy the show whenever I can. Being from Maryland, and more to the point, frequenting the Frederick area, my top choice would be the Voltaggio brothers also. Gotta support the locals!!! Can I be 100 percent honest and say I’ve never watched the show? I don’t even know if I have Bravo! That’s terrible, I let my husband control the TV. But a dessert competition show sounds heavenly. and have spawned an idea or two for myself…which I suppose is part of the “art” of pastry.. Going to have to go with Yigit Pura as my fave! I love TC, TC: Just Desserts, and TC: Masters! It’s really hard to pick a fave though 🙁 My hubby’s favorite is Richard. I never got into watching the original Top Chef show but every since they started the Top Chef Just Dessert, I am totally hooked! My all time favorite is Yigit Pura. I love his personality and his passion for desserts. With no formal pastry education I admire Yigit’s perseverance and am amazed by his creativity. Really looking forward to his new restaurant in San Francisco and his up coming cookbook. Oh and he is such a cutie too! I’m rooting for Sally Camacho! Thanks for the giveaway :o). I liked Stephanie Izzard a lot! I was psyched when she won! I actually liked Morgan, I thought he had a dry humor and it was funny to watch him trying to deal with all of those other personalities. Thanks for letting me know about the show, I hadn’t heard it was starting up so soon! My favorite from Just Desserts was probably Zac Young, because he was just so entertaining! Thanks for the chance to win! There are too many people to choose from! I was a huge fan of Bryan V. (Season 6), but also of Kevin (Season 6) as well. So, probably one of them! I was surprised when they brought Tiffani (from Season 1) back, and how completely different she seemed. At first I secretly found myself booing because I couldn’t stand her attitude on Season 1, but was pleasantly surprised at the different attitude she had the second go around. I haven’t seen Top Chef Desserts but am excited to catch the Season 2 premiere! Hard to choose, but I’m gonna go with Yigit Pura! My favorite is Yigit Pura; was so excited that he won! I am so exited for this season. Also the beautiful give away. I love Yigit. I am going to second Sally Camacho! I haven’t watched this show as my head has been buried in finishing my masters degree. All done as of August! Yay! So, with that said, in reviewing all the talents on the upcoming season, I am going to give my vote to Rebecca Masson. I like that she integrates the delicacy of French baking with her childhood roots and memories. The best baked goods are one that can elicit memories with each bite! I also like that she is from Laramie, WY. My husband just interviewed for a job there, so we will be watching and rooting for the Laramie girl! Richard Blaise takes top honors for me. But I was happy that Yigit won the last Top Chef Just Desserts, and I’m counting down the days until the new season! I saw a few episodes since I rarely watch tv due to being super busy, however, I am going to begin watching the show religiously. I love the advice and different methods people use. Thank you for this opportunity. I had actually just began to think of investing in one of these (the artisan mixer) 🙂 I bake too much to not splurge in one, it’s a great investment. It would be wonderful to win it though! I love your blog, and am itching to make the pear soufflé. Chef Michael Voltaggio. I am anxious for the brothers’ cookbook to be released. I liked Stephanie Izard, winner of Season 4. I have to say that I found myself rooting for both Flavio and Carla who were on together on the show the same season. If I had to rank them in preference, Flavio would be just a miniscule ahead. Thanks for giving fans the opportunity to “vote” even with a prize as an incentive. I really liked Carla Hall! My favorite is Hung Nguyen! I loved season 1 of top chef just desserts. My favs from season 1 were Yigit and Heather H. The bios of Amanda and Sally look good! While I can see the love for the Volt bros, I have to say I’ve always connected with Richard’s eclectic personality and geeky love of food. yep — it’s the Voltaggio brothers for me too! Hmm…. I think Richard Blais. I really like his food! Unfortunately, I’ve never been able to watch Top Chef! I am planning on doing so this year, though. The contestant I like the most for this year’s lineup (going strictly from bios) is Craig. His story is inspiring to someone like me and his tastes seem classic. I’d have to say my favorite contestant from Just Desserts season 1 was Yigit Pura from the very beginning. Such creative, beautiful desserts! Can’t wait for the second season! Hands down, I like Amanda Rockman! But I love the Voltaggio Brothers! Cant’t wait to see their BBQ ventures with William Sonoma! However, I can see Yigit Pura going to the top! Thank you for an opportunity to win Kithenaid Mixer. 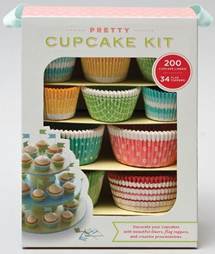 I don’t have one but would like one to continue my venture in baking. Hope to be in Top Chef myself one day! Why not? Lol! Yigit Pura is my absolute favorite contestant. Not only was he able to produce some aesthetically pleasing desserts, but he did so in a great professional manner. Truly an inspiration to me! Carla Hall is a close second. Who can resist her infectious personality and the love that she infuses into her creations! Carla Hall from Top Chef, Season 5. Oh I love the show! My favourite was Yigit in Season 1 and I was so glad he won! The minty green KA is stunning! would look just lovely in my green and yellow kitchen! Oh my gosh! An awesome giveaway and the Voltaggio brothers have a new cookbook coming out too – they’re my favorites! Oh. My. Gosh. I LOVED Yigit Pura and was SO excited when he won Top chef: Just Desserts! I’ve never seen the mint green mixer before – it’s so lovely! I really loved Yigit f/m first season of just desserts–so talented! I also love the Voltaggio Brothers. I love Top Chef and TC Desserts. Thank goodness the space satellite our community uses catches the shows! I love the down-to-earthiness of Carla. Loved Sam, but I must admit the Voltaggios are at the top of my list. Yigit Pura was my fave from the 1st season of Desserts: little bit of drama, lots of sensitivity, and gorgeous desserts. Woo hoo for the give away! My favorite still has to be Dale…who dares to risk and try new things. His attitude might not be loved by everyone, but you can totally tell that he put in every ounces of himself into each dish. This post is actually my first introduction to Just Desserts. I’ve watched a few episodes of the first season and I think Yigit Pura is my favorite so far. The Voltaggio brothers were really awesome (and attractive) but hands down Fabio is my favorite!! I love Top Chef… it’s a great show. My favorite chef is Richard Blais, followed by the Voltaggio brothers! Richard Blaise! And I was so happy to see him finally get to win during the Top Chef All Stars. Fabio Viviani is by far my favorite Top Chef to date. My fave was Yigit Pura so much talent… I can’t wait for season 2!! chris hanmer seems like a great guy with a real passion for what he does! my vote is with him!! I’ve got to say that Sam Talbot from season 2 of Top Chef was my favorite. Yigit Pura, for sure! Heard he has a book deal; can’t wait . . . LOVE your site, by the way – from a long time lurker. Zac Young from season one of top chef just desserts!! I’m a fan of Yigit Pura, but I can’t wait for the new season!! Richard Blais!! I was rooting for him in both the seasons he was in! As much as I hated his attitude, I have to admit I loved the work of Morgan Wilson. It was always creative and beautiful. Can’t wait for the new season to start on Wednesday! It’s tough to pick a favorite, but of the Just Desserts season one, my favorite was definitely Zac Young. He was hilarious. I’m with you, the Voltaggio brothers. My Top Chef favorite was Michael Voltagio! He always took every challenge to the next level and managed to make really interesting and delicious looking food. Alex AKA Pocket Chef has to be my favourite! How can I choose? I admired Michael Voltaggio, sympathized with Richard Blaise, and want to hang out with Carla. For Just Desserts, I picked Yigit early on and he didn’t disappoint! Harold Dieterle is my all time favorite. Last season I really loved Morgan. His desserts were always very clean and flavor driven…just my style! Also, Hubert Keller will always get my vote (swoon)! Love Top Chef and Top Chef Desserts. Favorite Top Chef was last season’s winner Richard…class act. Voltaggio Bro’s were great but way too intense for me. I was a big fan of Yigit too. Harold! He’s my favorite winner because he was just a good guy. I never tuned in more religiously than to make sure I avoided missing Yigit (Top Chef: Just Desserts). He is amazingly talented, and he stirred up a love of pastry and baking I never knew I had. About three weeks in, this 23 year old college boy was at Sur la Table buying a rolling pin, cookie cutters, baking sheets and a banging apron. Since then, this house hasn’t been short of flour, eggs, sugar, chocolate chips and baking powder. The Voltaggios were, of course, talented, but I’ve always had a sweet tooth. Heck, that’s why I check your blog every day. Casey Thompson ~ she has the same name as my husband!! Looking forward to TC Just Desserts 2. I liked Erik in Season 1 but Seth scared me. Thanks for the opportunity to win such a fabulous prize! Oh, the Voltaggio brothers are my favorites too. So talented. Yigit Pura is my favorite — and those fantastic desserts! I’ve never watched Top Chef until they started the Just Desserts season…I loved Zac Young! Voltaggio Brothers the Best ! They are my favourite. This contest ends on my birthday and am crossing my fingers that I might be win the Kitchen Aid mixer. Would definitely be the best birthday ever! The very talented Voltaggio Brothers are my favorite too. Thanks for this generous giveaway. Looking forward to hearing from you. Richard Blaise, Hung, and Marcel were awesome, in different ways. I’m not caught up on Top Chef Desserts, but I need to fix that soon! Although somewhat off the beaten path, I enjoyed watching Mary Sue Milliken from Top Chef Masters. I am excited about the upcoming Top Chef Just Desserts season though. Can’t get enough of it! I have watched all of the Top Chef programs obsessively!! My all time favorite has got to be Carla Hall. Being from Louisiana, I relate most to her culinary style. Thanks for the giveaway!!! My favorite Top Chef is Bryan Voltaggio. He’s a fellow Marylander and his Frederick restaurant, Volt, is amazing. I can’t really pick a favorite, but I really liked Carla. She was sorta crazy and my family secretly believed that she looked like some sort of bird. She tended to be easily pleased and she brought a lot of personality along with some fabulous dishes. I loved Kenny Gilbert from season 7. I think he was one of the strongest chefs and left too early for a bad decision. My favorites were Richard, Trey and Tiffany. I was so happy when Richard won Top Chef All-Stars, though Mikey really brought it that season! I love Top Chef Just Desserts! My favorite contestant is Yigit Pura. Probably because I can relate to him 🙂 Like Yigit, I have no culinary schooling. I am a Carla fan! Most adorable thing ever! Finally a baking show on TV thats worth watching haha. I am with Voltaggio brothers all the way!! I’ve never heard of the show. But, it sounds great! I’ll have to check out the new season. I’m biased towards Richard and Kevin because I’m from Atlanta, but I think Carla is my all time favorite. Carla Hall was definitely my favorite. She cracks me up and seems genuinely nice! Yigit Pura! Pure inspiration that he is self-taught. For Top Chef Just Desserts, Yigit Puro was my favourite, for personality and for talent. For Top Chef, Carla Hall was great. Wonderful personality, really passionate and a creative chef. I love the Voltaggio brothers the best! Thanks for this lovely giveaway, really love this prize, wish I could win! My favorite chef of all time is Richard Blaise, Top Chef; what a talented, classy guy. I’m so glad Top Chef Desserts starts tomorrow! Morgan was kind of a jerk, but he was pretty damn talented, too. My favorite is Yigit Pura as he is from Ankara, Turkey where I am from;))) My grandfather started just like Yigit and he owned and operated a bakery till he passed away. I hope I have his skills too!!! Eric Wolitzky. have to support the classic bakers! woot woot! Carla! I loved how sweet she seemed! Yigit Pura–he’s so talented and his desserts are so beautiful even if he never went to culinary school! I loved Carla on Top Chef. From Top Chef Just Desserts I loved the beautiful creations Danielle made! I have to agree with you. The Voltaggio brothers are so very talented!! My favorite contestant is Kevin Gillespie from Season 6 of Top Chef. So talented and humble. I loved Carla’s style and the pure love that went into her food. Love Yigit – all that talent but no formal training. Just Desserts season 1 was full of drama, but I still loved it. I really liked Morgan! Sad he didn’t win. Stephanie Izard. Her food just really appealed to me. Carla Hall for sure. She just seems like a all around nice person. Voltagio season was definitely the best season. Hung definitely the best chef. Tom definitely the best judge. Fabio definitely the most charming. I am on the fence about desserts 2 – the first season was SO much drama it overshadowed the food. Although, every time I see red hots, I do want to drop to the floor and rock back and forth, crying for my mommy. My favorite has to be the Chef from New Orleans who has appeared in many Top Chefs, Chef Carla. I can’t wait for season 2 start. My top chef fav is Harold Dieterle the winner of season 1. I really thought Zac was outstanding and from the Top Chef the Voltaggio brothers and Richard Blaise were great. My favorite cheftestant has to be CARLA HALL. I just love her!! She was so passionate about what she does and so excited when you won challenges!! Darn, that show used to run on a channel that I couldn’t receive where I lived. 🙁 But those Voltaggio brothers look cute, I’m sad I missed them! I love Orlando Santos’ bio – while we still don’t know too much about him, his background (including that he went to pastry school here in Miami!) sounds so interesting. I can’t wait to see what he has in store with those caribbean vibes going on! My favorite is Carla (or as my sister and I fondly call her, “Bird Lady”-because she’s tall and slender, with a long neck, and she always reminds me of a bird). She’s so full of love, and she’s got such a good heart. She’s funny, and she never let the other contestants get her down. And, of course, she’s so talented! She could make great savory food, and fantastic desserts, which so many other chefs are not good at. She’s best all around! Hootie-hoo! I’d have to say my favorite contestant was Carla. She was such a sweet woman and her favorite ingredient was the most important of all-Love! Yigit Pura is my fav. Would love to win this giveaway for my wife. Thank you. For some reason I am partial to Melissa Camacho on Just Desserts. She just makes me laugh. Heather from Season 1 Top Desserts! From just desserts my favorite would have to be Zac Young, LOVED all the disco dust! My favorite chef was Fabio. He has a restaurant by where I live and I haven’t been yet, but I have been excited to go. Yigit Pura is my fav. I enjoy Zac from Just Dessert. Now I can watch him on the Cooking Channel Show, Unique Sweets. He is a hoot! I have to say Yigit Pura because I admire those who can find creative non traditional ways to ‘train’ for their career. My fav is Yigit Pura! He has talent. My vote goes to Dale Talde – the Top Chef All Stars version. His comments were hilarious. My favorites were the Voltaggio brothers! Such talent! Michael Voltaggio is my favorite. He’d probably win if he was on Top Chef Just Desserts. I tried his desserts while he was still at the Dining Room at the Langham and I was blown away. My favorite was Ilan Hall. I’d have to go with Richard Blais as my favorite. My favorite Top Chef contestant was Carla, season 8. Thanks for running such a great contest! Definitely the Voltaggio brothers for me too! How can you not love them? I will have to say Bryan Voltaggio! Blaise!!! He was amazing to watch. I really lovethe Voltaggio brothers, they are a great pair and great chefs as well. I loved Jen, but saying that I really love all the contestants, they are all so talented! Definately the Voltaggios. Great cooks, and not too shabby to look at either!!!!! heheheh. Hubert Keller is my all time fav contestants – he is professional, inspiring and have a good sense of humour. The Voltaggio brothers were great chefs and have great talent. But I would have preferred Bryan over Michael as Top Chef. Bryan had an even keel and more professional demeanor over baby brother Michael. Stefan Richter, because he’s a talented all round chef. He’s quite versatile, knows both savory and sweet. richard blaze all the way! This is going to be difficult… I like Richard Blais, Carla Hall and of course the Voltaggio brothers!! I liked Morgan even though they made him out to be the bad guy. His chocolate work always looked sooo good. The voltaggio bros were my favs! My favorite of all the Top Chef contestants ever is Kevin Gillespie! He was so friendly and enthusiastic! And in love with bacon, which was pretty cute (even though I’m a vegetarian!). My vote goes to the Voltaggio brothers. What a fun show! I would have to say Yigit Pua-thank you for reminding me this is starting again. My favorite -Hubert Keller of Top Chef Masters… Don’t remember exactly when this was. But I remember a memorable challenge of making desserts for kids… He made some cute figures in chocolate, that looked divine….. I also loved the show where he cooked an entire dinner in a college dorm room…. It was impressive the gourmet meal he created with the basic facilities. I think he used the shower to cool down a dish – Creative!